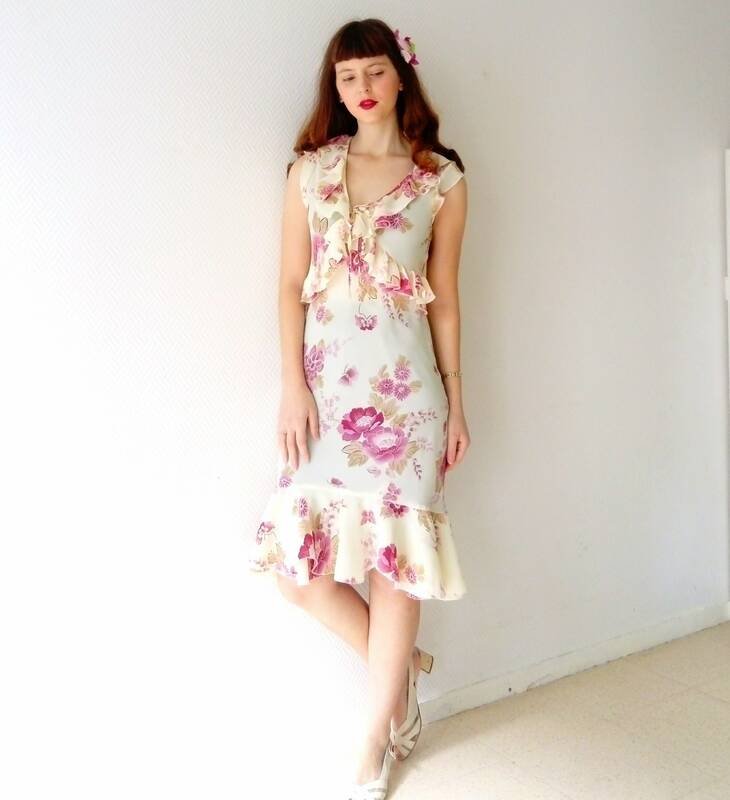 Beautiful romantic chic retro dress, neckline and bottom ruffle. 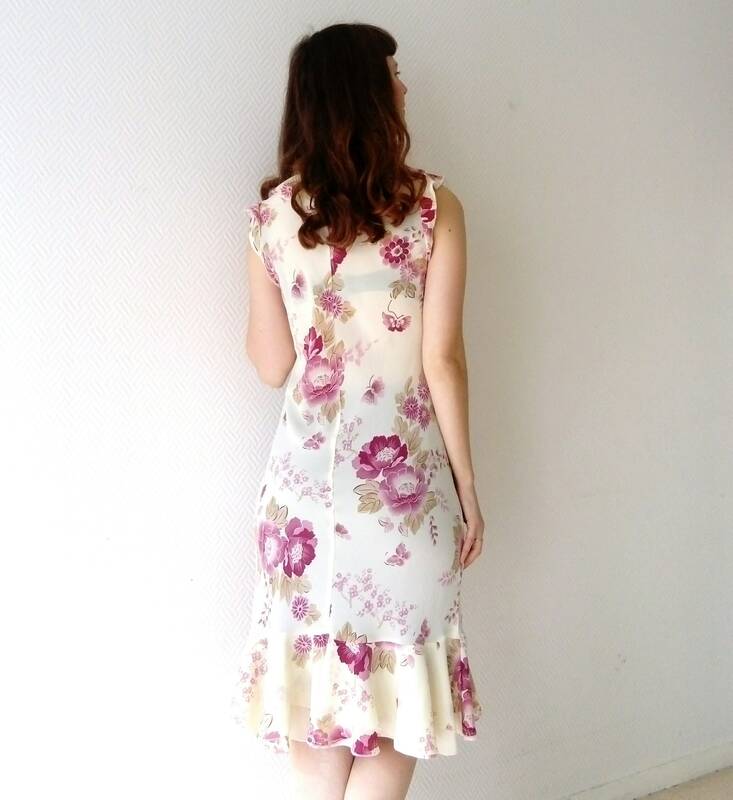 floral print, cream and pink colors. 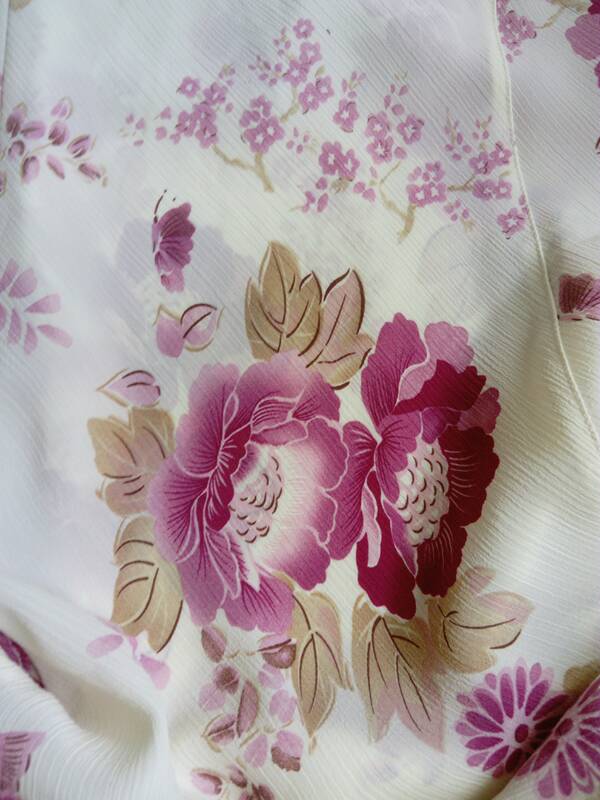 made from 90/2000 by the brand YIJIA, transparent and elastic fabric, mint condition. 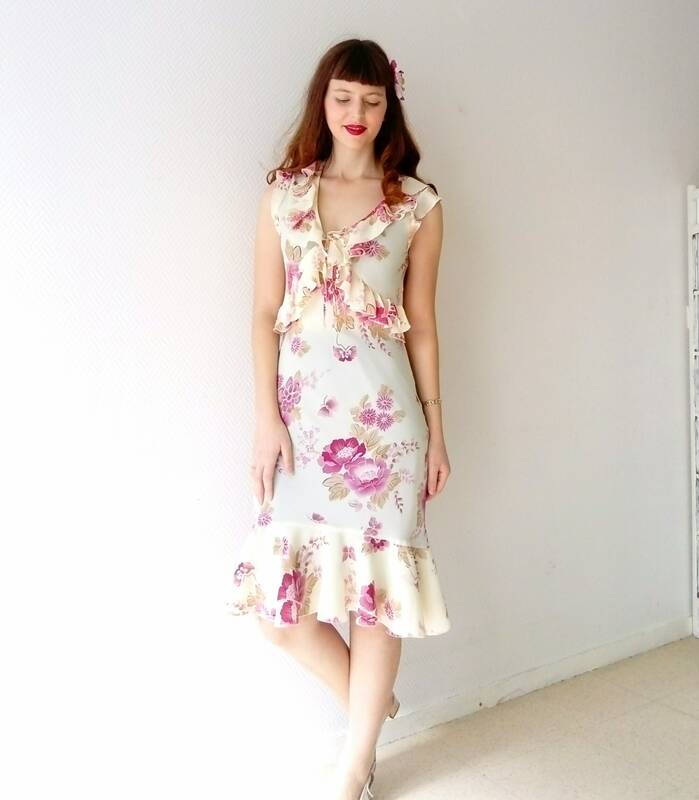 Marked size 44 but fits more sizes 38/40/42. 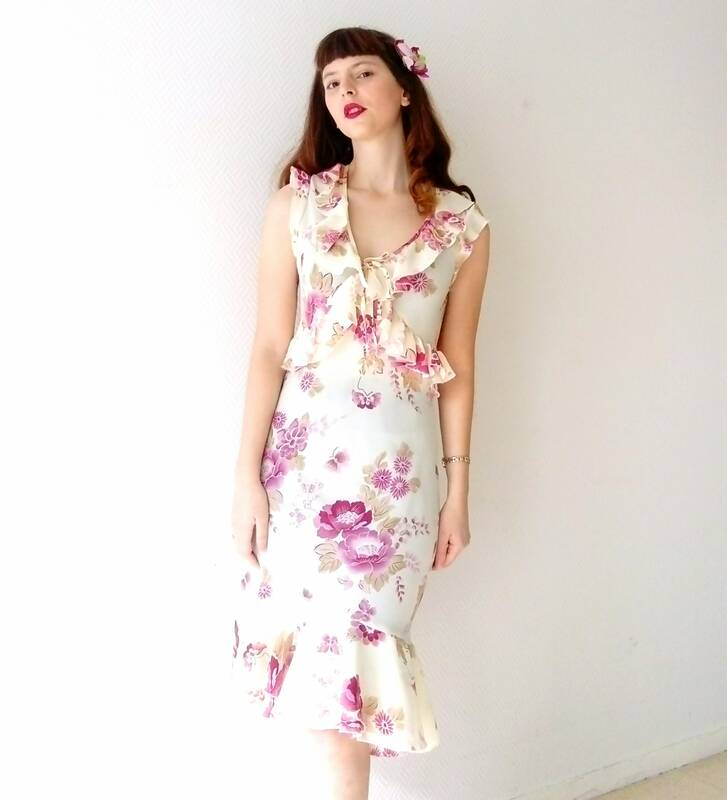 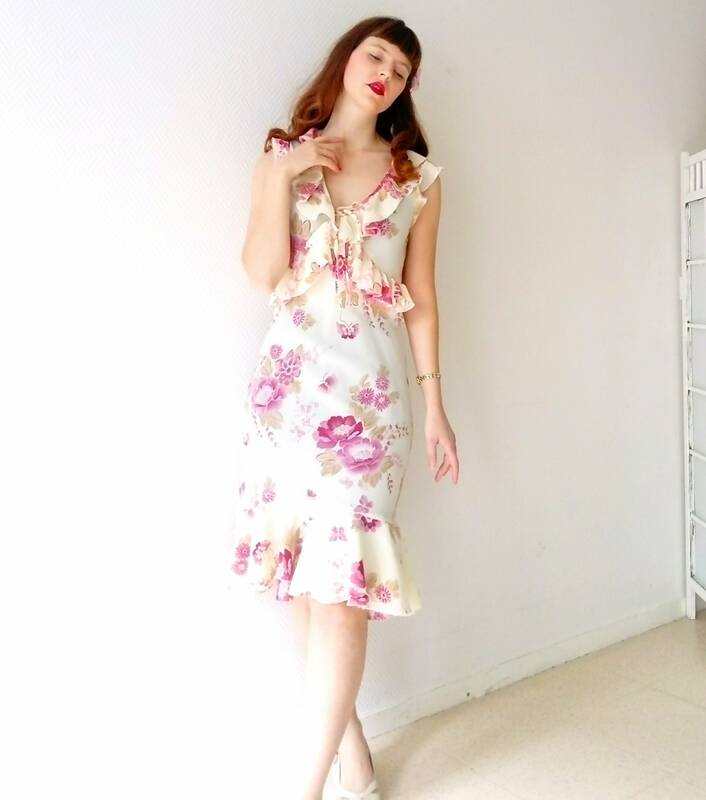 Beautiful retro romantic fancy dress, floral print, colors cream and pink fall 90's / 2000's. 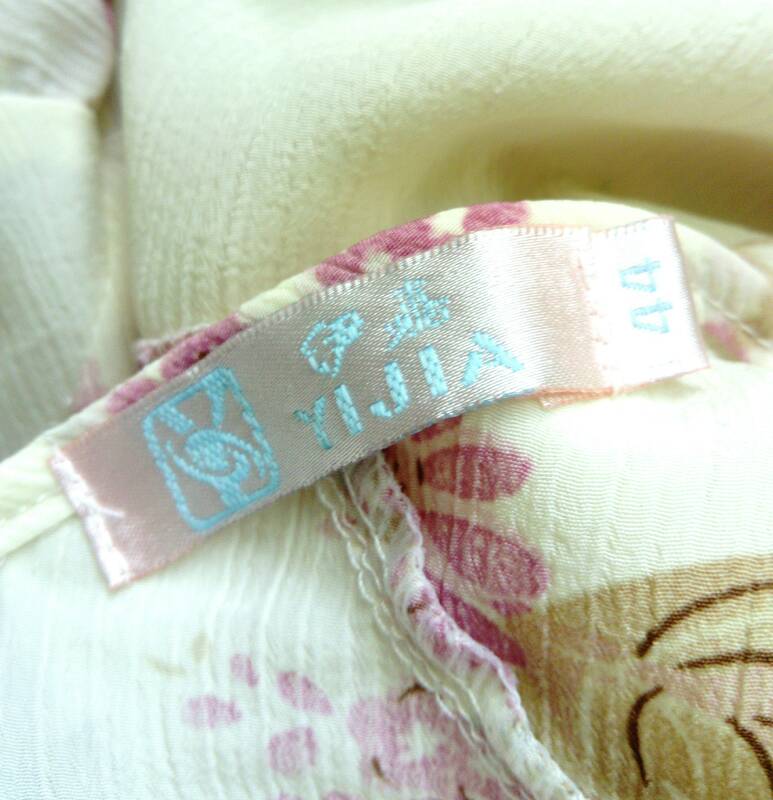 made by the brand YIJIA, elastic and transparent fabric, mint condition.